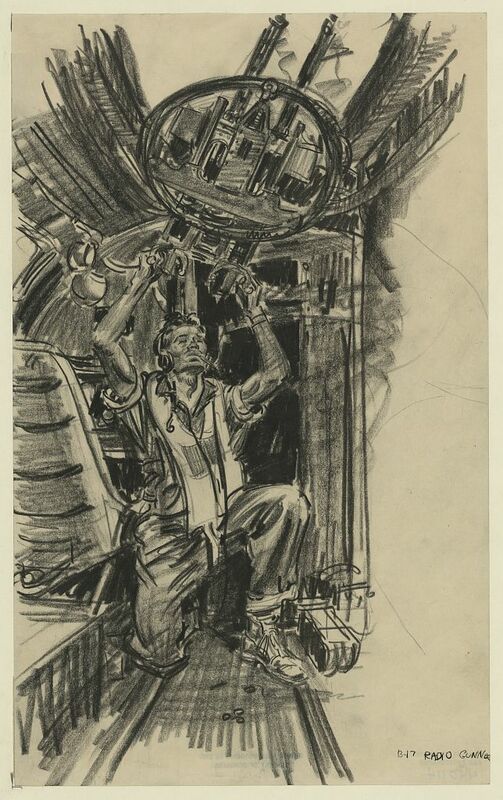 Sketch of a B-17E radio operator firing twin .50 caliber machine guns. 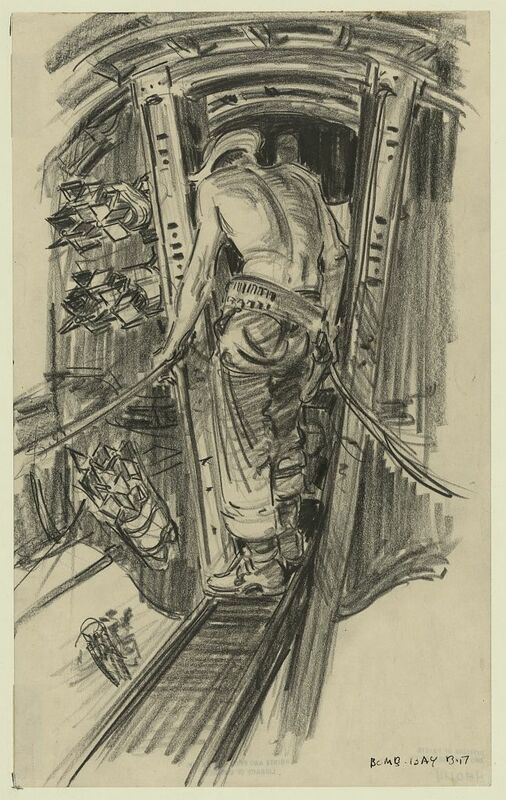 Sketch by by Sgt. 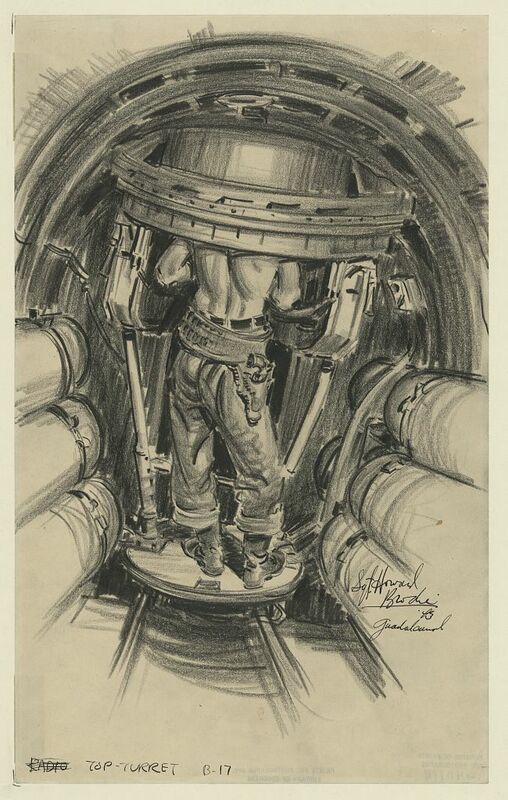 Howard J. Brodie, a staff artist for Yank magazine, based on his experiences during the battle for Guadalcanal.